I decided to try out the Maybelline Dream Fresh BB Creme in Medium/Deep. This was my fist time trying a BB Creme and I honestly don't know what the difference is. This one has a lot of coverage. I thought the whole point of BB Creme was that it was supposed to be sheer and light coverage? In all honesty I love full coverage so its not a problem for me. 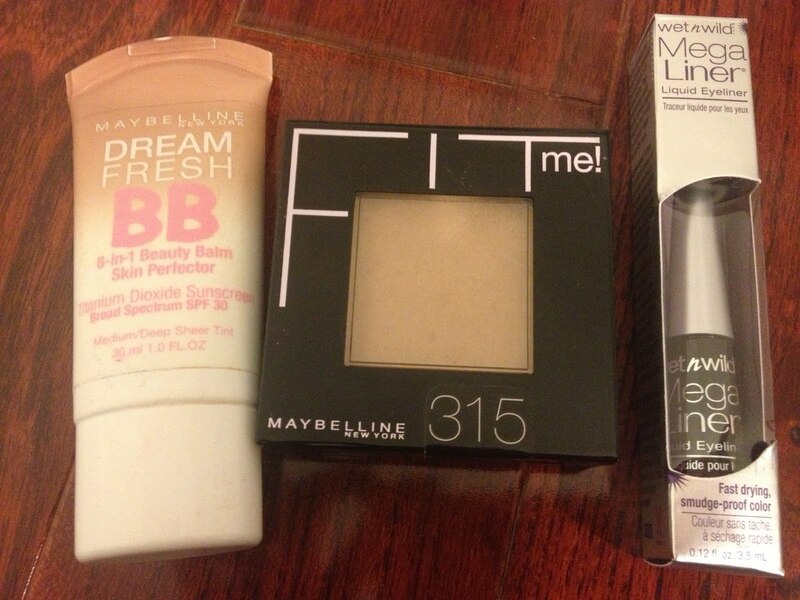 For my Powder I went with another Maybelline product, the Fit Me! Pressed Powder in 315 (Soft Honey) It really does Fit Me! I love it! However I feel I cant mix it with the BB Creme, I feel really oily and heavy if I use it on top of each other. I also picked up a Wet and Wild Black liquid eyeliner. I absolutely love the brush tip applicator! I have never been that picky with my eyeliner, liquid or pencil but I do pay attention to the applicator. If it's a felt tip applicator, I tend to pass or I use a separate brush. This is a great eyeliner to have on the run in your purse when you don't want to carry a brush set with you. I got three products for 20.57 and luckily I had a $5.00 CVS rewards coupon so I only spent $15 dollars! Not bad! Have you used these products? and if so how do you like them or what else do you recommend?